You don't need to smuggle artifacts from the Middle East (like Hobby Lobby just did) if you're making stuff up. “Then the Lord God formed a man from the dust of the ground and breathed into his nostrils the breath of life, and the man became a living being.” That process, according to Genesis 2:7 and many Christian Americans, is how humanity came into existence only 6,000 years ago. 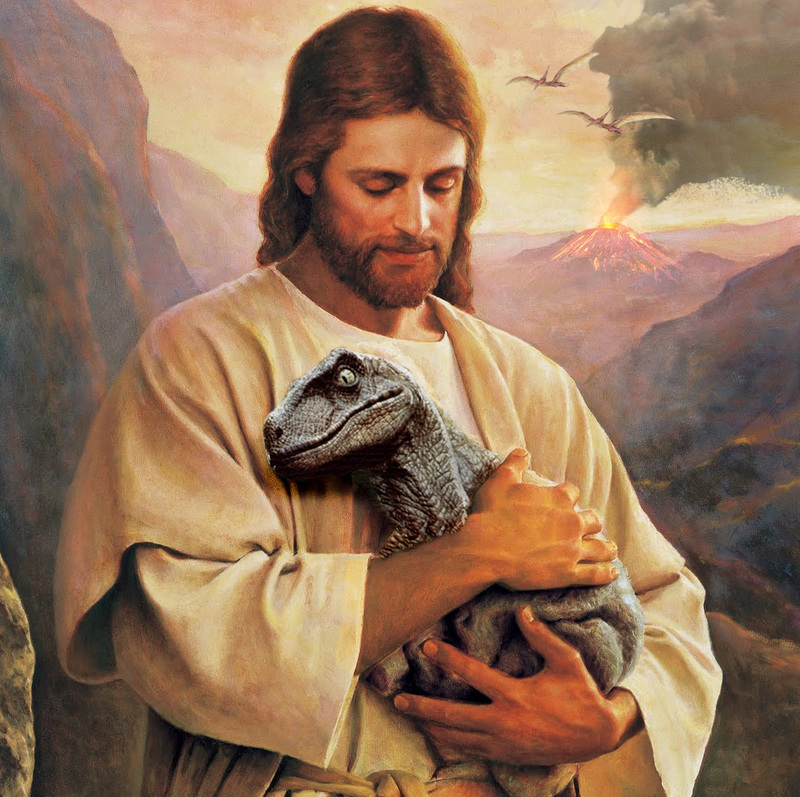 Creationism, as this theory is called, isn’t taught in public schools, though there are many privately funded museums and “learning centers” in the United States that promote the theory. On Wednesday, Christian-based arts and crafts conglomerate Hobby Lobby agreed to forfeit a collection of ancient Iraqi artifacts, which it smuggled into the U.S., in order to stock a Bible museum. The Green family, which owns Hobby Lobby and a Christian bookstore franchise, has been funding and collecting materials for the Museum of the Bible for years. It’s supposed to open in Washington D.C. this November. The plans for the Biblical museum don’t involve unscientific creationist theories (like dinosaurs walking with humans), though the Green family are creationists themselves. “This is about the Bible. It’s not about a faith, tradition, or a church, or a denomination. It’s about a book,” Green says in an ad for the museum. Of course, it’s possible to study the biblical text from a historical and evidence-based standpoint. One only has to look to the traveling Dead Sea Scrolls exhibit, which presents ancient pages of biblical text alongside artifacts from the early civilizations that bore them, to conclude that not all study of religious artifacts is based in fantasy. The Green family, interestingly, owns one of the largest private collections of Dead Sea Scroll fragments in the world. Some, but not all, Bible museums use creationist theory, meaning they reject the idea of evolution. Some creationist museums even feature exhibits that try to disprove or find evidence against the theory of evolution, while others ignore it altogether. Creationist museums, like the one in Kentucky, sometimes feature exhibits depicting European-appearing humans walking around the Garden of Eden alongside dinosaurs, though their dioramas are supposed to take place in the “Fertile Crescent,” a historical segment of land on which modern day nations like Iraq, Syria, Lebanon, Cyprus, Jordan, Turkey, and Iran all currently stand. Humans in that area, during the Biblical time period, probably wouldn’t have looked European, though a lot of creation museum mannequins certainly do. That disconnect stems from creationists’ alternate timeline, which supposes the world is only around 6,000 years old. Evolutionists, on the other hand, believe the earth is over 4.5 billion years old, as evidenced by dating minerals in the planet’s crust. How Many People in the United States Are Creationists? 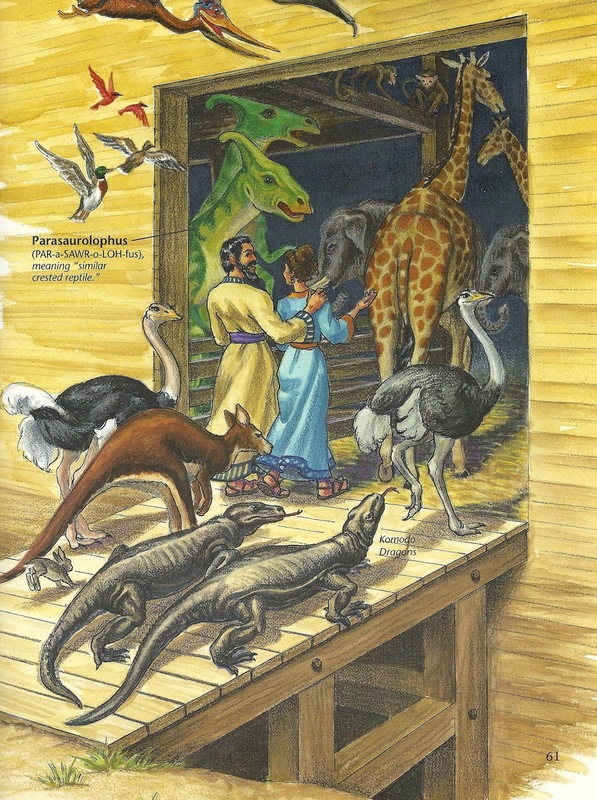 Dinosaurs board Noah's Ark in pairs in Ken Ham's creationist picture book for children. As of 2015, 34 percent of Americans reject the theory of evolution entirely, preferring to believe that humans were created in their current form by a deity. 25 percent of all Americans believe evolution was guided by a supreme deity, and 33 percent believe evolution had nothing to do with a divine plan. Meanwhile, 98 percent of American scientists agree on every facet of evolution, though only 66 percent of American citizens perceive that fact as being true. Somewhere in the gray area between allowing religious freedom and the exhibition of beliefs in “museums,” and teaching scientific theory with concrete evidence as fact, we’ve created a cultural echo chamber where certain groups can simply say they don’t believe facts. Whether or not you believe in a God who created life in his image, it’s still hard to argue with the truth that most scientists in the United States think you’re wrong.